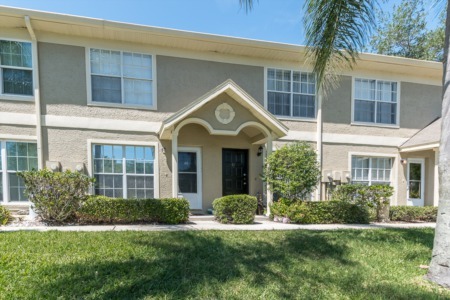 Situated just east of Lake Tarpon in the East Lake area of Palm Harbor, the Oaks of Tarpon Woods condo community is a well-rounded home option for a variety of prospective buyers. All the units in the complex are 2 bedrooms, 2 bathrooms, and 900 to 950 sq ft, with listing prices that are well worth it. They come with screened in lanais with views of the local golf course, some with newly remodeled interiors with newer plumbing, kitchens with breakfast bars, and open living/dining areas. The community has a pool for everyone to enjoy year round, and boasts some of the lowest HOA fees around in the area. The East Lake area is a great place to call home due to its close proximity to both the bigger cities and to nature and Florida beaches. 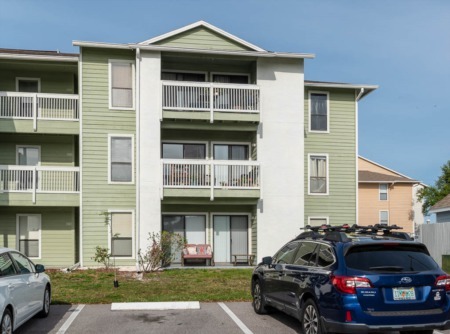 Let us help you buy a condo here at Oaks of Tarpon Woods! Our agents will get you the best deal out of the purchase and minimize the stress on you. Call us today! Selling your Home in Oaks of Tarpon Woods? Interested in selling in Oaks of Tarpon Woods? Contact an experienced agent at Lipply Real Estate to assist you in a potential sale. We have worked avidly throughout the Palm Harbor community for many years and have built a strong and effective marketing plan to help our clients make the most out of a possible sale. We would love to work with you. Call today at 727-314-1000 or enter you information to the form below.